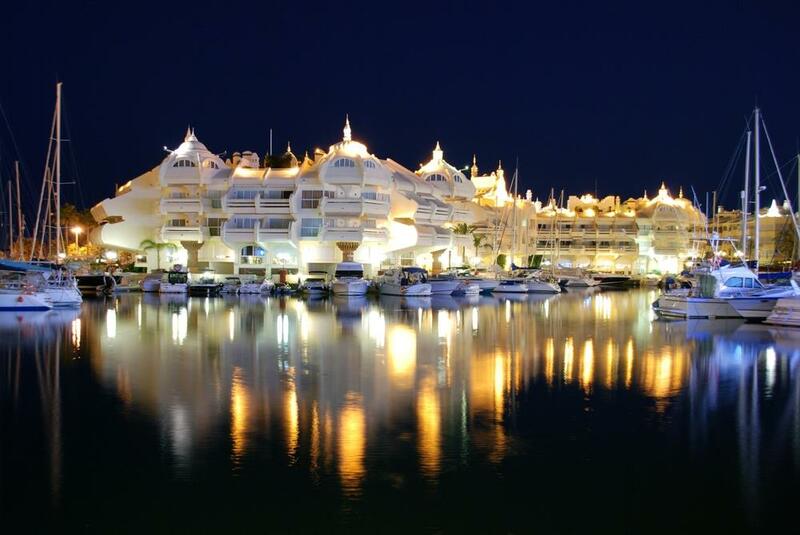 Awarded the title of Best Marina in the World on two occasions, Puerto Marina in Benalmádena, in the Málaga Province, is often described as a modern Venice. You'll notice that the port is made up of artificial islands, connected by small bridges, which house many apartments. What could be better than staying in a holiday rental along the port, just steps away from the marina and your day-time boat? While the marina's architectural style is difficult to define, some note strong Indian, Arabic and local Andalusian influences. Strolling around the marina you'll find great shops, restaurants, cafés, and activity options including boat trips, paragliding, and dolphin watching. If you're travelling with your family, don't miss the Sea Life Aquarium where you can get up close with some of coastal Spain's marine creatures. 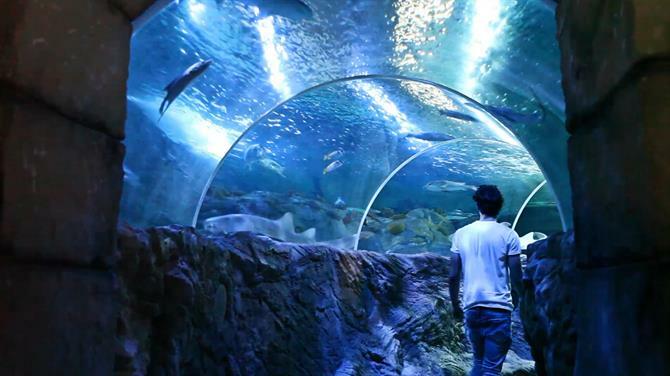 Puerto Marina's Sea Life Aquarium boasts over 2000 aquatic creatures including sharks, sea turtles, and sting rays. It is an ideal place to visit with kids of all ages because there is tons to discover, not to mention that there are daily feeding demonstrations and opportunities to hold crab and starfish. You can also witness shark feedings three times per week. Open daily from 10 am to 6 pm, admission for adults is 15.50 € (12.50 € in advance online), and 12.50 € for children 3-9 years old. After your visit don't forget to play a round of miniature golf above the aquarium. Your next stop is lunch at one of the port's great restaurants. With 44 international choices, you won't be short of great options in Puerto Marina. No matter which restaurant you choose, you'll have a great view of the sunny port and the 1000+ boats that line the harbour. You can grab a burger at Jack's American Pub or nachos at Amigos Mexican Grill, but I have to say that my personal favourite is Los Mellizos - El Mero, which specializes in seafood. One must-try recommendation at El Mero, outside of the purely seafood category, is ensalada templada, a warm salad made up of endive lettuce, shrimp, bacon and roquefort blue cheese. Actor Antonio Banderas is also said to love the place and visit when he is in town. For dessert, head to la Gelateria Di Porto Marina. You'll find the best gelato of the port here, no questions asked. After lunch, stop in at one of the many cafés or go shopping at Puerto Marina's shops; you'll find clothing, jewellery, sunglasses and accessories, and, of course, tons of souvenirs. Another great day-time activity is heading out on a boating, dolphin watching or paragliding adventure. These activities are great for all ages and you'll have no trouble finding offers just by strolling along the port. Another option is visiting the Colomares Castle in Benalmádena Pueblo, just a fifteen minute drive away from Puerto Marina. This castle is a monument dedicated to the life and adventures of Christopher Columbus and is definitely worth a visit. If you're staying for a little while and looking to keep active, Benalmádena and Puerto Marina are part of our 5 best running routes on the Costa del Sol. And last, but not least, don't forget to check out the great beaches in the Benalmádena area. Puerto Marina is not short of bars and nightclubs, and is listed as one of the best places to go out in Benalmádena. The surrounding area boasts many options, so you'll have plenty of places to choose from. I've been told that a must-try is DECs Irish Bar, which is supposed to have fantastic cocktails. A friend who has lived in Benalmádena for three years recommends the chocolate cocktail. No matter which bar you head to on your night out in Puerto Marina, there will be beautifully-lit views of the surrounding yachts and you'll be glad to be here in Spain. 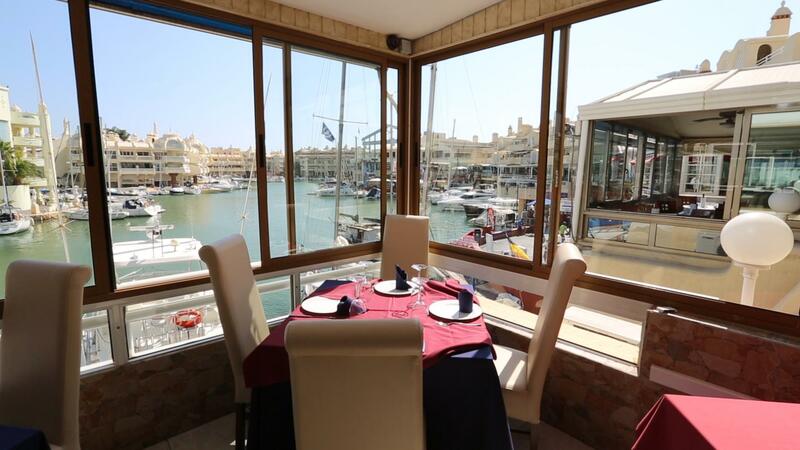 - Kaleido, where you can sit back and enjoy the views of the Marina from a large terrace. The cocktails can be expensive, but admission is usually free. This is a very popular venue in the summer time. - Mombasa, this nightclub which has a British colonial decor is a favourite among all ages. This might have something to do with the fact that they serve a complimentary drink upon entry. - Discoteca Maracas is part of a chain with venues in Málaga and Torremolinos and mainly plays international pop music. 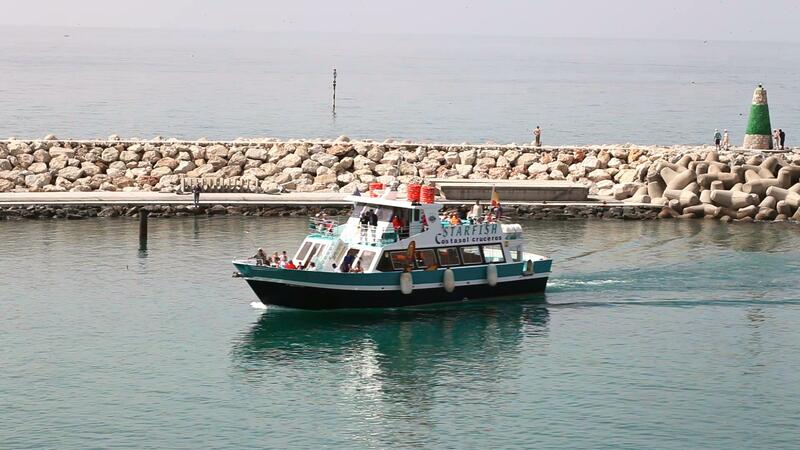 Visiting Sea life in Benalmadena's marina makes a fantastic trip for the whole family. Here's all the information you'll need to enjoy a day out. Shop and dine along the marina and visit the Sea Life aquarium. Discover southern Spain's best port: Puerto Marina in beautiful Benalmadena.